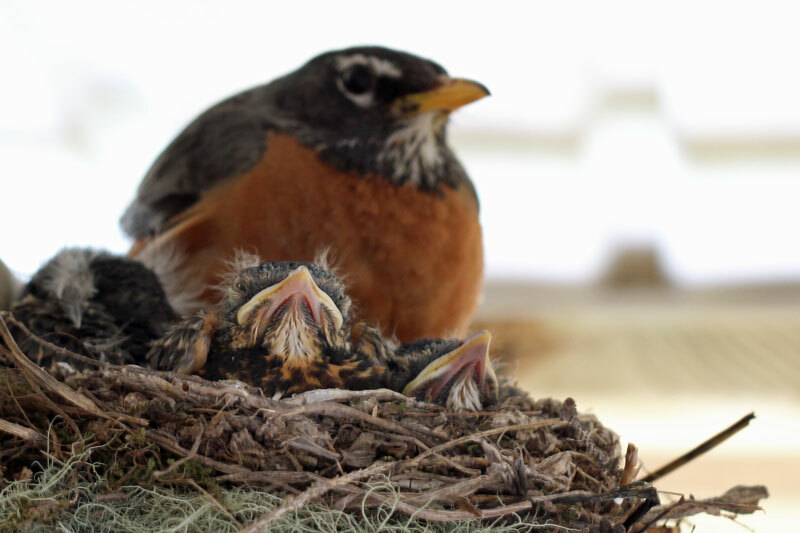 It’s been fun watching the progress of these little robin chicks. Thanks to the chicken wire, orange peelings, and wintergreen set out by my mother, the feral cat in the neighborhood has not been by and they are growing every day. The father robin is used to me and my camera now, and simply goes about his business feeding his hungry offspring. They’re so ugly, they’re cute. Thank you sharing those wonderful impressions! 🙂 My fav birds! We have a nest outside our bedroom window, just one baby, but it sounds like three!